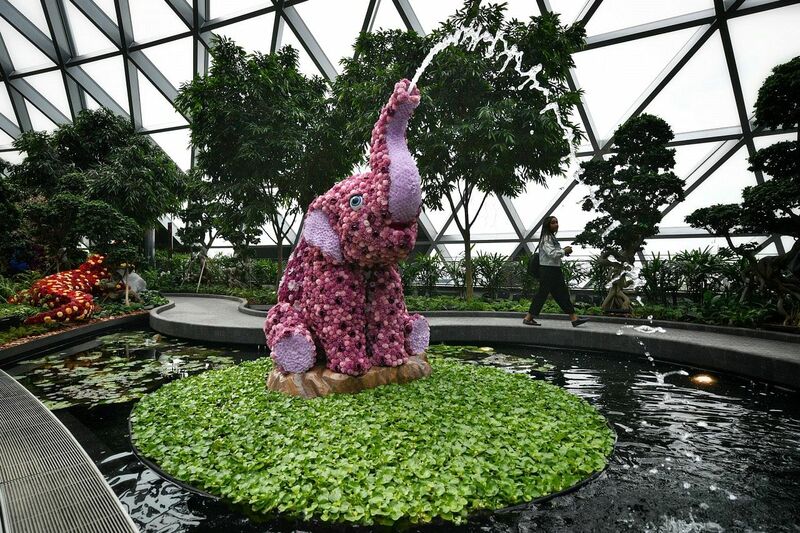 SINGAPORE - Four years after work started to transform an open-air carpark into a 10-storey complex with shops, restaurants, leisure attractions and facilities for travellers, Jewel Changi Airport is ready for its public unveiling. Over the next six days, from 1pm on Thursday (April 11) to 10pm next Tuesday, about half a million people who had signed up for free preview tickets are expected to visit. Jewel will open its doors to all from next Wednesday. Located next to Terminal 1, it is connected to T2 and T3 via air-conditioned travelators. The $1.7 billion complex is an investment in Changi Airport's future and Singapore's continued success as an aviation and tourism hub in an increasingly competitive environment. Mr Lee Seow Hiang, chairman of Jewel Changi Airport and Changi Airport Group's (CAG) chief executive, said in a statement on Thursday: "Jewel Changi Airport is a valuable addition to Singapore's world-class tourism attractions and aviation facilities. "We look forward to welcoming the world to Jewel, whether they are travelling to or through Singapore." Jewel's highlights include a 40m-tall indoor waterfall and a five-storey garden with 2,500 trees and 100,000 shrubs. There are more than 280 shops and food and beverage outlets, including famous New York burger chain Shake Shack (to open next Wednesday) and American fast-food chain A&W, which will re-enter the Singapore market after more than 10 years. The first Pokemon Centre outside of Japan is located at Jewel, a joint venture between CAG and CapitaLand. The 135,700 sq m complex will also offer play attractions as well as a hotel and aviation facilities. 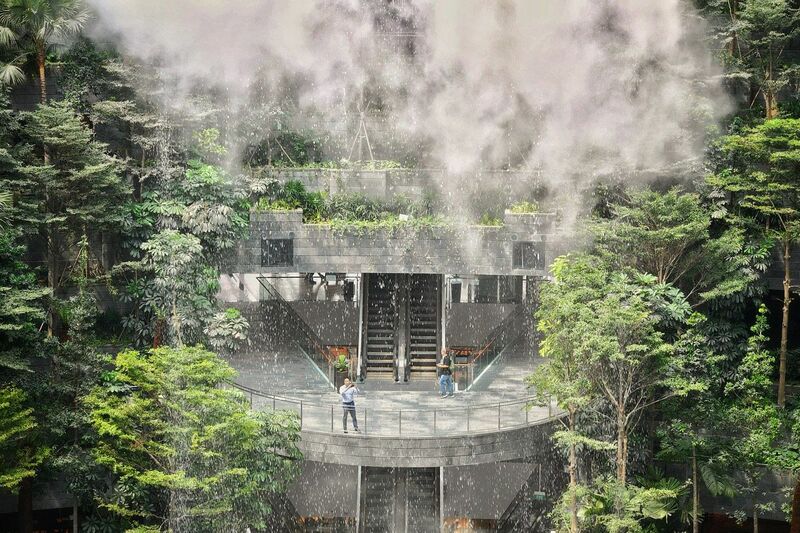 To be available from June 10, the attractions include a 50m-long suspended bridge, with a glass floor that will allow visitors to look down at the greenery below; a 250m-long bouncing net, which at its highest point will be suspended 8m or three storeys above the ground; and other highlights such as mazes and slides. This will cover 60 per cent of all traffic at the airport and will be open from 6am to midnight daily. There will also be facilities for all travellers to store their hand luggage round-the-clock. 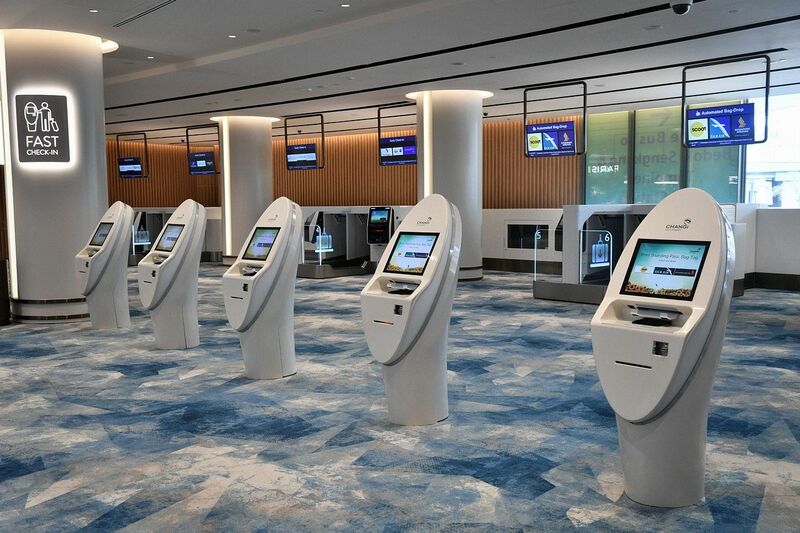 This will allow travellers to have a worry-free experience while they shop, dine, relax and play to make the most of their time before flying out of Singapore, said Jewel Changi Airport. Those flying through Singapore will have to exit the transit area to visit Jewel and check in again before their next flight. They don't need to check in their bags again if their airlines offer the early check-in service. Otherwise, they can deposit their bags while they tour Jewel and pick them up when they are done. Ms Hung Jean, chief executive of Jewel Changi Airport, said: "The unique proposition of world-class shopping and dining, seamlessly integrated with lush greenery, fulfils the needs of increasingly discerning travellers for a meaningful and experiential journey, even for brief layovers." Jewel will also house the first YotelAir property in Asia, with 130 cabins that can be booked for a minimum of four hours; for short daytime layovers or overnight stays. Mr Lee Chee Koon, president and group chief executive officer of CapitaLand Group, said: "The combined catchment of residents and Changi Airport's growing passenger traffic makes Jewel a compelling proposition to draw international brands to Singapore and empower homegrown retailers to connect with a global audience." Jewel is designed by a consortium led by Safdie Architects, helmed by world-renowned architect Moshe Safdie, who also came up with Marina Bay Sands. Mr Safdie said: "Jewel Changi Airport juxtaposes the centre of being in nature and enjoying a vibrant marketplace, dramatically extending the concept of airport to serve as an urban centre, engaging travellers, visitors, and residents, echoing Singapore's reputation as 'The City in the Garden'."